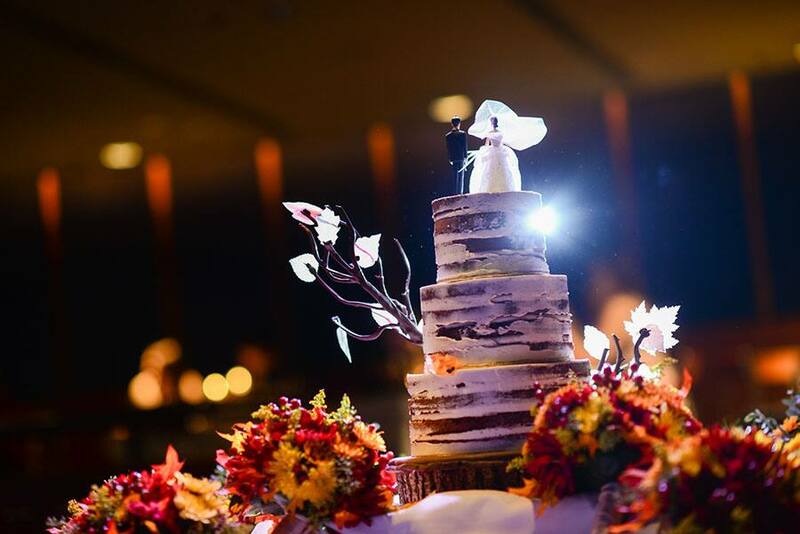 It's difficult not to "fall" in love with this rustic, three-tier cake from Elyse and AJ's wedding. 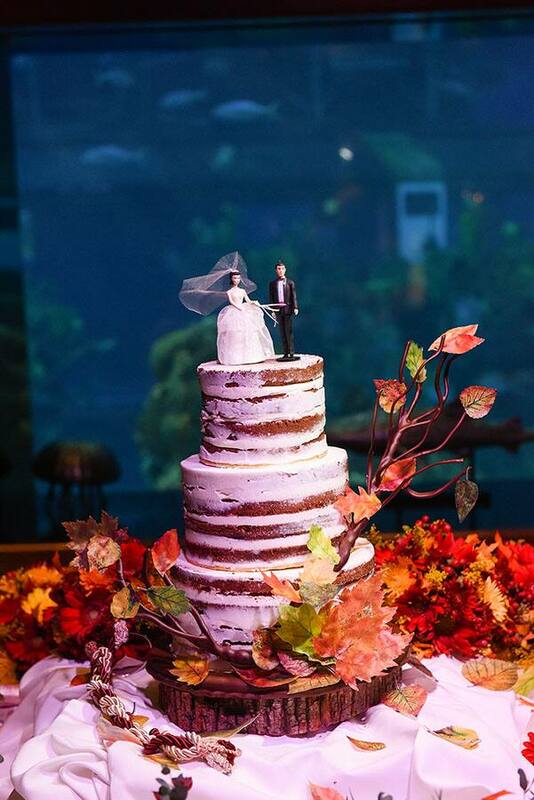 The minimal exterior frosting (aka a naked cake), abundance of autumn leaves and log cake stand evoke not just the look but the feeling of the season. 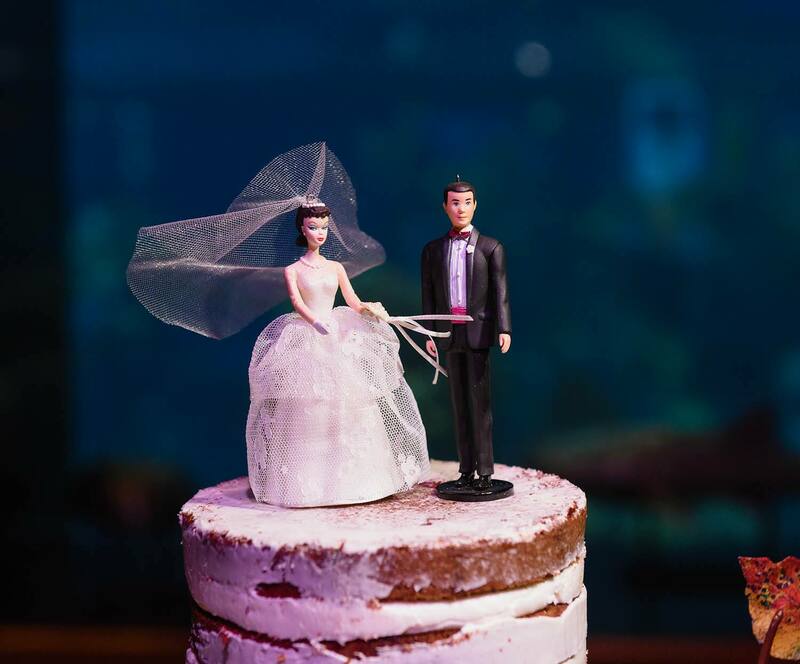 A vintage wedding day Barbie and Ken add some nostalgic elegance that could make just about anyone say "I do" to a bite of this dessert.